Today, two separate lawsuits regarding the Albuquerque Rapid Transit project were filed – one in New Mexico State Court, the other in U.S. District Court against the City of Albuquerque and the Secretary of the Federal Transportation Administration. The first one, filed by attorney John McCall, is on behalf of seven individuals plus ten businesses that border Central Ave. This suit seeks an injunction. The second one, filed by attorney John Boyd in U.S. District Court, is from our group – The Coalition to Make ART Smart. Our complaint contests the decision of the FTA to grant the City a “categorical exclusion” from the FTA’s environmental assessment/environmental impact process for the City’s ART project and raise related issues. We believe the merits of our suit are strong given the inadequate information upon which the FTA relied in granting the “categorical exclusion”, particularly in light of the City’s failure to reveal the likelihood and existence of public controversy regarding the project and the enormous impacts, including many environmental impacts, that ART will have on Central Avenue and environs, on traffic patterns, on businesses and residential areas. Make ART Smart has conducted hundreds and hundreds of research hours into the ART project. What we have found is an astounding amount of issues and flaws that will harm the historic segments of the Central Avenue corridor. We have found issues that will adversely affect businesses and neighborhoods have not been considered or studied. Most importantly, we have learned that there are many other individuals and neighborhood associations who have discovered the same issues and flaws. 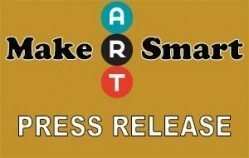 Like Make ART Smart, who has met repeatedly with representatives of the City to attempt to understand and address the most obvious issues related to ART, they too have found the City unwilling to listen and to cooperate on alternative proposals and solutions. Therefore, since the FTA deadline is today, we find we have no alternative but to file this lawsuit. To learn more, you can follow the links below to read the filed lawsuit.